Not so long ago I finished a book with the intriguing title “Winnie-the-Pooh on Management”. The publication is written in genuine A.A. Milne style and the content covers what the subtitle says: “In which a Very Important Bear and his friends are introduced to a Very Important Subject”. 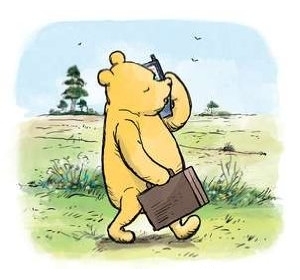 “How can I help you?” asked Pooh. Guess what? I liked the book and though it’s rather short and already a few years old, I actually consider it as one of the better –however not very profound– management works I have recently read. The way the author, management consultant Roger E. Allen, has transposed Milne’s classic stories and popular characters –Pooh, Eeyore, Piglet, Tigger and friends– into an unexpected context, and how a Very Important Bear (V.I.B.) teaches us some basic MBA stuff, is original, refreshing and entertaining.